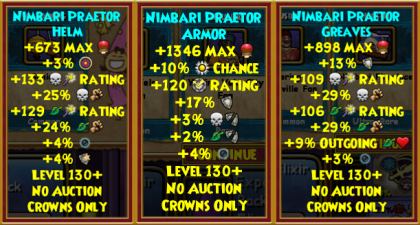 The morning of January 17th Kingsisle released their newest hoard pack to the crown shop, the Nimbari Hoard pack for 399 crowns. Let’s see what this new pack has, shall we? 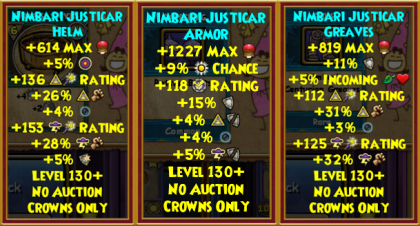 From the official post by Wizard101, you can see from their picture the gear looks like a Nimbari walking around Nimbus. This pack offers 3 sets of gear to wizards. 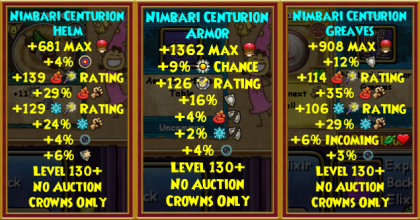 The Nimbari Centurion gear has fire and ice stats, Nimbari Justicar gear has myth and storm stats, while the Nimbari Praetor set has death and life stats. Thank you Cody RavenTamer for letting me use the gear pictures. 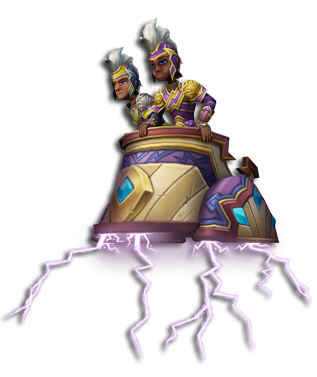 The mount from the pack is the 2 person Nimbari Chariot mount with lightning effects. The colors on this mount are pretty in my opinion and look nice together with the lightning. A fun fact about this pack, this pack is the first pack to ever have a rental 2 player mount. That is kinda amazing when you think about it. 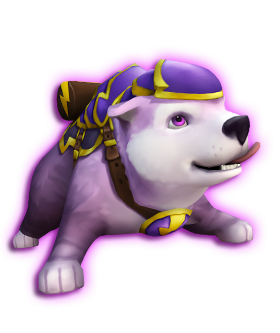 The Hurricanine pet is a super adorable dog wearing purple armor. This pet comes with a Galvanic Field item card. A must-have pet for pet collectors and I know for sure I’m gonna find one for myself and feed it a lot of treats and teach it tricks. The pet has to be my favorite item from the pack because I love collecting cute pets. 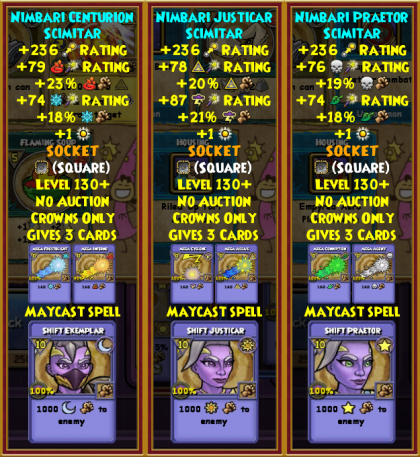 I think this pet will be a good companion for my storm wizard whose colors are purple and white. I would rate it an 11/10, a good boy definitely. So those are my thoughts on the new pack. Until next pack guys, if anyone needs me I’ll be hiding in my box. NextA Guide to the ’19 Friendship Festival!